When Fedora 27 was released I was updating my office laptop and suddenly laptop turned off while installing the update after reboot. Probably it was dead because of battery. It was not even starting. Situation w​as- both the old and new versions of same package were present. After searching a bit, I found this forum thread which solved my problem. And laptop came back to life. In this post I will explain the steps I used to recover my laptop. As laptop was not booting up at all, the only solution was to boot in to the USB. Generally I use livecd-tools which can be installed through dnf but for some reasons it was not working so I used dd to create bootable USB. where sdx is USB device’s name. Once you boot into the USB, we will use that OS to perform further tasks. 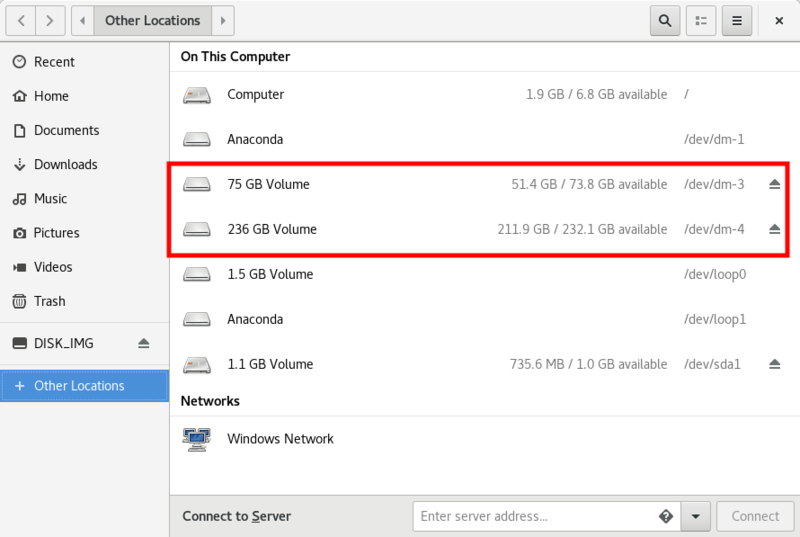 The easiest way to do it through nautilus (Files), from ‘Other Locations’ mount the slash partition of machine. 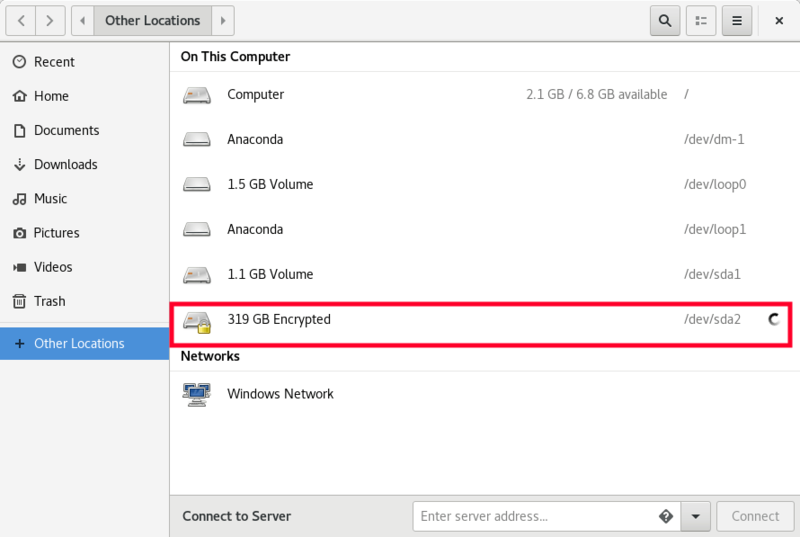 If the drive is LUKS encrypted it will ask you password, just provide it and note down the mount point. /run/media/liveuser/3921e678-5de5-41d8-8537-c6733d2455dc. We will refer this as /path/to/root/ for rest of the post. Even after doing this, my laptop was not booting up. The reason behind this was some of packages were duplicated, means both versions were present i.e. the fc26 and fc27. This was causing all the trouble. Solution for this is to delete one of the version of package which has duplicate. Needs to be done for all duplicated packages. This will traverse over the list and remove the packages. Notice the -y flag, otherwise we will have to press y every time. And now we have to do distrosync again. It will update the remaining packages properly. It was booting up using old kernel of fc26. The kernel of fc27 was already installed. Reinstalling kernel, kernel-headers, kernel-modules of fc27 solved the issue. If doing this doesn’t solve problem you may need to generate grub2 configuration. One of the following command will do that trick.